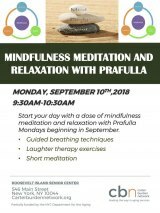 Starting Monday, October 10th, 9:30 a.m., at the CBN/RI Senior Center, 546 Main Street, join Mindfulness Meditation with Prafulla for free. The positive benefits of meditation are well established. Don't miss out. FDR Four Freedoms Park adds annual traditions to the year on Roosevelt Island. On September 22nd, in coordination with International Peace Day and the United Nations General Assembly, the park again hosts Kite Flight For Peace, a free event that runs from 11:00 a.m to 4:00 p.m. The New York City Department of Health and Mental Hygiene sponsors a workshop on bed bug prevention on Monday, October 1st, from 11:00 a.m. until noon, at the CBN/RI Senior Center, 546 Main Street. Learn what you can do about these annoying, destructive insects. 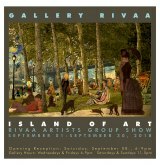 Keeping up with a notable theme for this summer, Gallery RIVAA yesterday announced the delayed opening of a members group show, Island of Art, for Saturday, September 8th at the Main Gallery, 527 Main Street, Roosevelt Island. 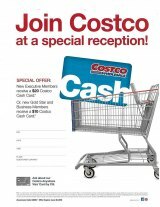 You're invited to a public open reception from 6:00 to 9:00. The opening had been postposed because of water leaks in the gallery. Ready To Accept Lisa Fernandez's Challenge? There are risks in covering local activities. One is that you might get challenged to participate as I was with Linda Nguyen's new Total Fitness Program at the CBN/RI Senior Center. I tossed it right back at Director Lisa Fernandez, and she accepted. Now, we challenge all of you to join us on Monday morning. 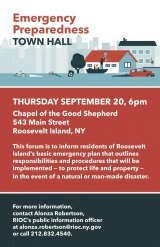 "Come out and meet members of Roosevelt Island’s Public Safety Department, the City of New York Police Department and the Community Emergency Response Team this Tuesday evening as part of National Night Out, a nationwide police community relations initiative," is the message from RIOC and its Public Safety Department. 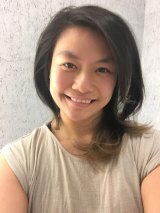 On Friday, August 3rd, at 8:00 p.m., The Monkey King launches its professional run in the Howe Theatre in the Cultural Center, 548 Main Street, Roosevelt Island. You can also catch one of three additional performances scheduled over the weekend. 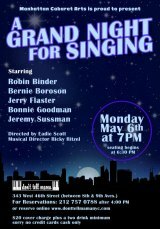 Details and tickets here. We live on an Island with few options when hazards large and small, expected and by surprise, arrive, making emergency management planning a critical, even life and death matter for us. RIOC's taking a lead on it, as it has in the past, with a fresh look. 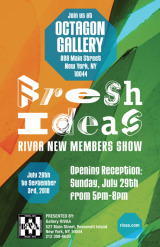 The Roosevelt Island Visual Art Association opens Fresh Ideas, a show highlighting works by its newest members, this weekend at the Octagon Gallery, 888 Main Street. Everyone's invited to a free public reception on Sunday, July 29th, from 5:00 to 8:00 p.m.